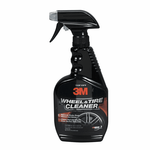 Done cleaning your car's wheels, rims and tire? Make it stand out with shine! 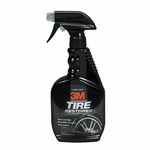 Check out our large variety of tire cleaners, tire foams, tire shine, tire gels, and tire care products. We carry the best brands of shine by Lexol, Lucas, Turtle Wax, Gliptone, Black Magic, Meguiar, 3m, Zymol, Mothers, Westley's, Armor All, Eagle One, and P21S. Provide a deep wet-look shine on your car, truck, van or SUV's tires and black rubber trim. Breakthrough formula contains special polymers that stabilize the product, creating an extra-thick gel. The ULTIMATE long-lasting, mirror-like shine! Exclusive high-gloss, state-of-the-art surface care formula.